Summertime calls for this hydrating Pineapple Green Tea Breakfast Smoothie, which will fill you up and caffeinate you all at the same time! One quick search on the internet or glance through of WebMD and you know that green tea will supposedly save your life if you drink it with any regularity. It it claimed to be so high in antioxidants that it prevents cell damage in your body as you drink it. And if your cells are happy, your heart and brain are happy. That’s a big deal. However, let’s be honest… I’m not the best at drinking tea with regularity. I forget about it. It goes cold in my house all the time. (And not on purpose.) I think it’s because I grew up in the south and the idea of drinking hot tea or healthy iced tea is foreign to my Southern up bringing. But I WANT to be good at it. I WANT those health benefits. So what’s the solution? A GREEN TEA SMOOTHIE OF COURSE! You see, Stash Tea makes these amazing little green tea packets that you can use to make iced tea if you’re in the mood, OR you can throw some of those packets into your morning smoothie and BOOM you’ve got a healthy AND caffeinated drink. Is there anything better than that? Doubt it. Plus this smoothie has got all the flavors you expect along with tea (ie. honey, lemon, ginger), but it also has PINEAPPLE! Why? Well life is short and pineapple is delicious. That’s why. So obviously no one is going to force you to drink this for breakfast instead of at noon or 4pm or whenever, BUT because of the caffeine this can be a great alternative to coffee in the morning. 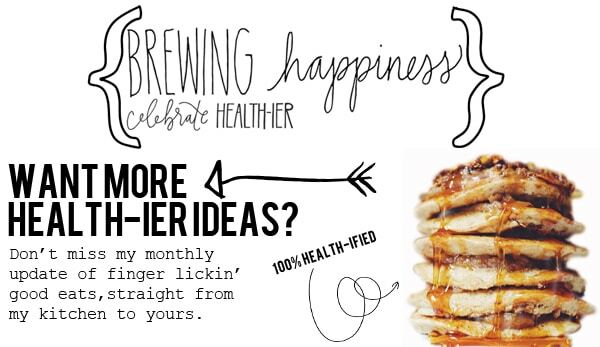 It’s like breakfast and coffee all rolled into one, except health-ier. (And you know I’m all about that!) It’s an especially great drink for summer because of how hot it is outside, and how hydrating it is. You’re gonna lurve it. K that’s all bye.